It’s amazing how often customers ask about engraving! They may have seen it in a relatively traditional context – inside a wedding band, or on a signet ring – and that’s what sets the ball rolling. People wonder about different options and what can be done. 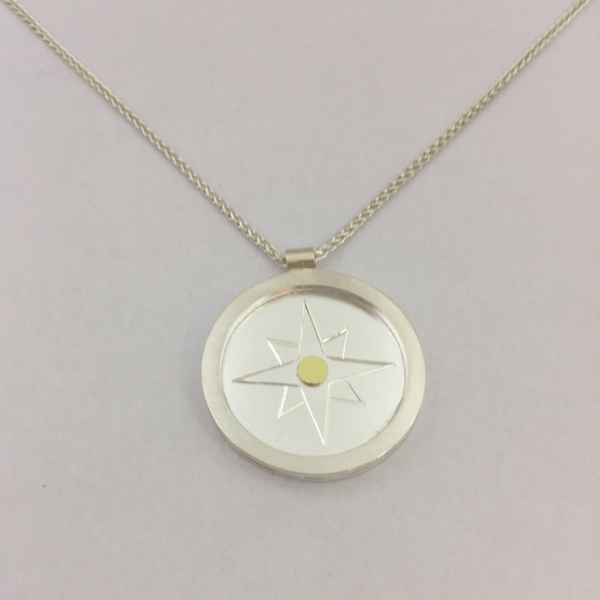 Although engraving is not for everyone, it does offer many different ways to personalise a handcrafted piece of jewellery. Hand engraving is an artform in itself. It involves years of dedicated training and is totally separate to the world of jewellery making and goldsmithing, although the two spheres do overlap. 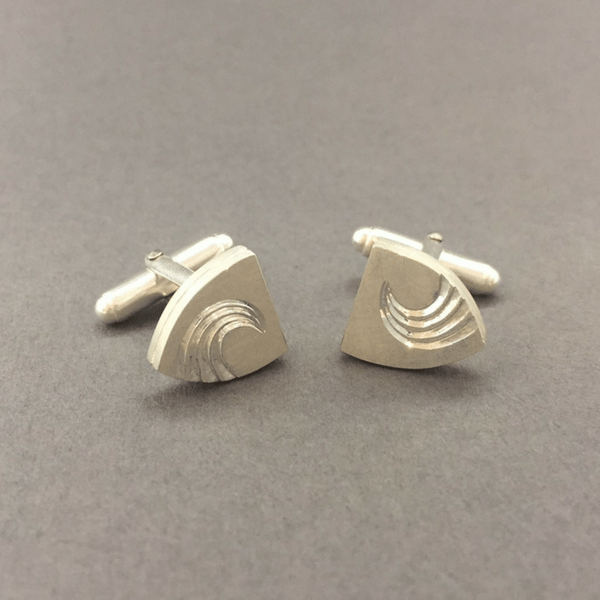 Engraving can be very intricate, capturing minute details, or it can be a few clean, pared back lines that beautifully express an idea, feeling or moment. The engraving shines and twinkles, playing with light and reflections where the engraver has skilfully removed metal from the surface of the piece. 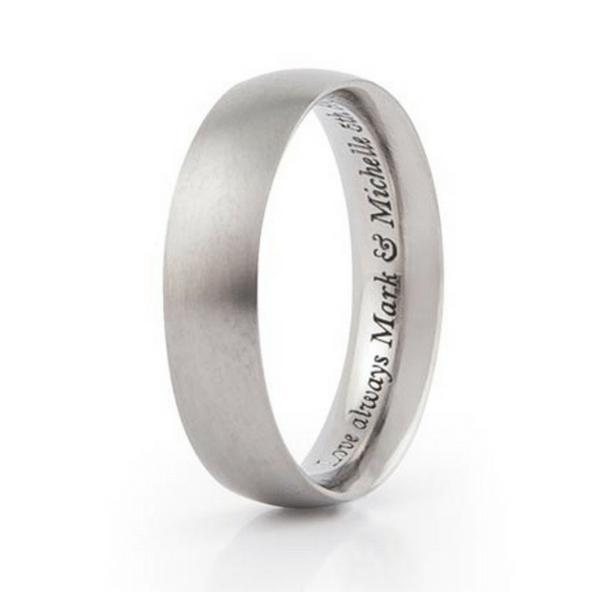 Dates, initials or names were typically engraved onto the inside of rings and many people still work along these lines. It’s also possible to be quite inventive – GPS coordinates or a quote from a song, a couple of significant words or a reference to an in-joke between you and your loved one – are all options. People generally choose between two standard fonts: script (which looks slightly more elaborate) or block (which is a more modern, clean look). Of course, alternative fonts are also possible. As well as capturing information, engraving looks extremely beautiful. 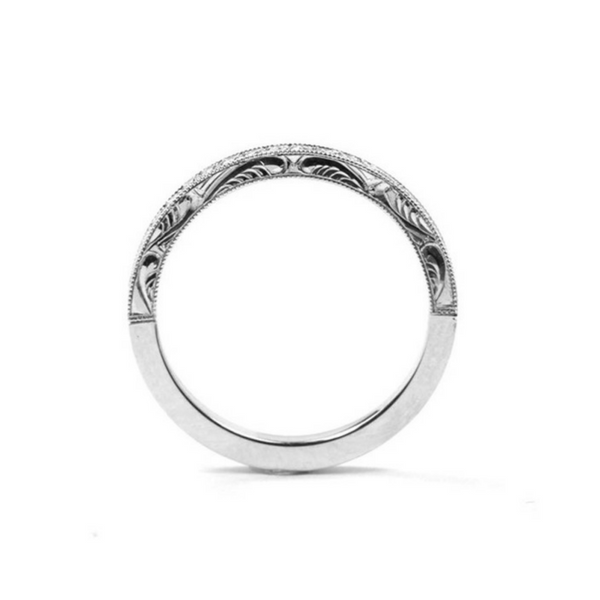 It can be used to embellish the outside of a ring with a once off or repeated pattern or design. 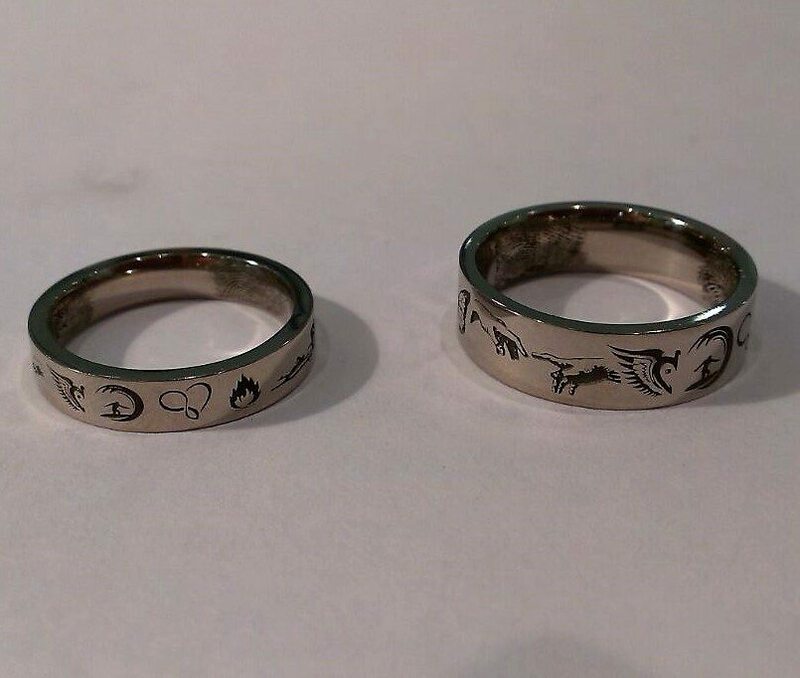 And hand engraving is by no means limited to rings. 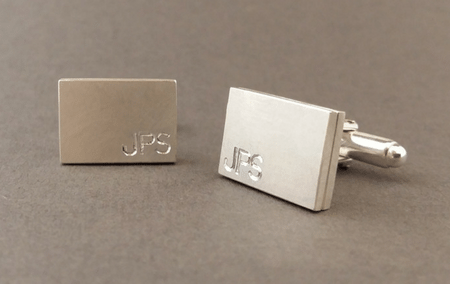 It is a particularly popular way to personalise cufflinks, either on the front or the back. It can be used as the main design feature of a piece. 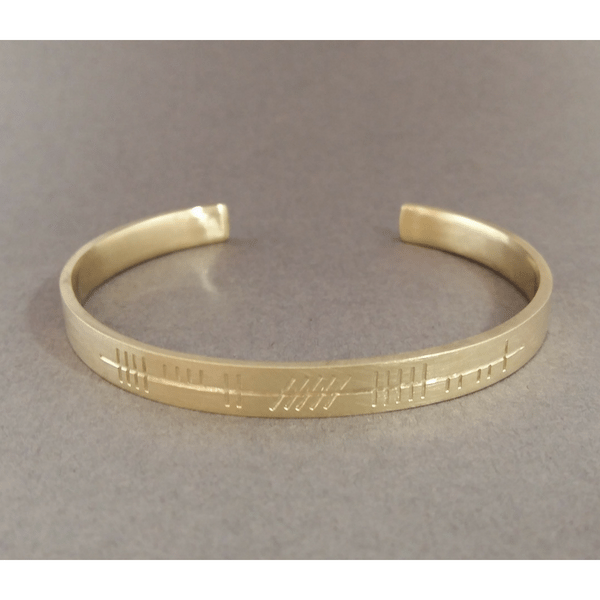 We have designed and made many bespoke pendants and bangles with engraving on the front that is a central feature of the piece. What an individual way to make your piece of jewellery extremely special! While hand engraving has strong links to the past, laser engraving is, as it sounds, unquestionably modern. Hand engraving involves removing different depths of metal, laser engraving focuses more on the surface of the piece of metal and the application of colour. With laser engraving the sky is the limit! One option that really grabs people’s attention is fingerprint engraving. 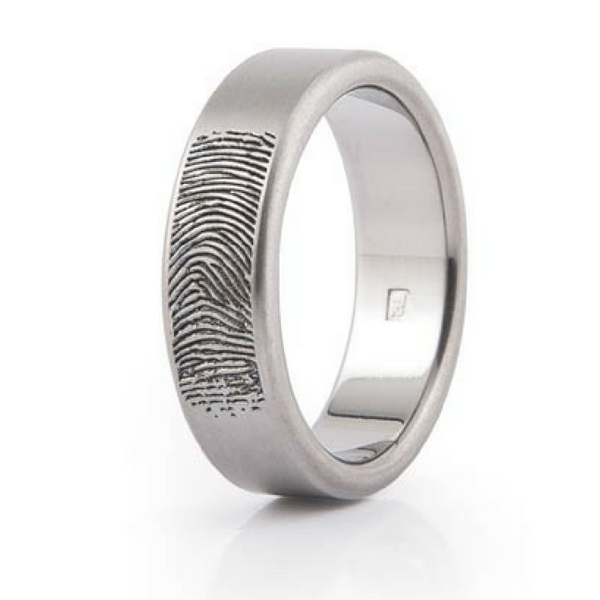 Fingerprints are generally laser engraved onto the inside of titanium rings, but they can be on the outside too. Titanium is very lightweight and is a dark, steely grey colour. 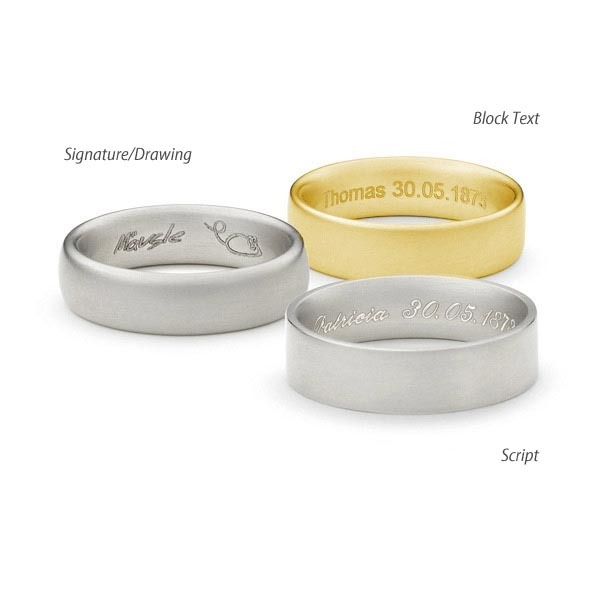 Laser engraving on titanium is black in colour, while when other metals, such as silver or gold, are laser engraved the engraving comes up as a more browny colour. Fingerprints are only the tip of the iceberg when it comes to laser engraving! Anything that can be considered an image can be used, such as a signature, an ECG (heartbeat) reading, an urban skyline, a kid’s drawing or calligraphy characters and symbols. Laser engraving is incredibly precise, and the scale of the engraving can be reduced to microscopic, if so required. Working on a such a small scale allows tiny engraving to be carried out on the side profile of a ring! 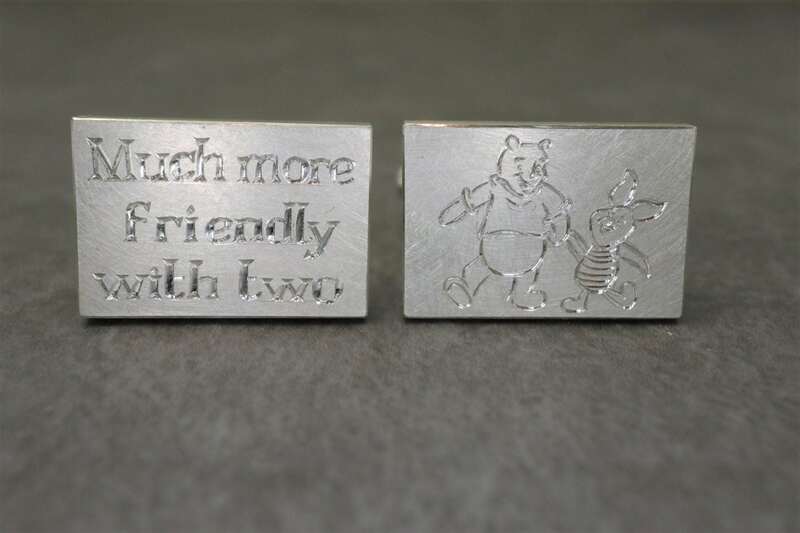 Engraving has endless possibilities and is a great way to make your jewellery truly unique! 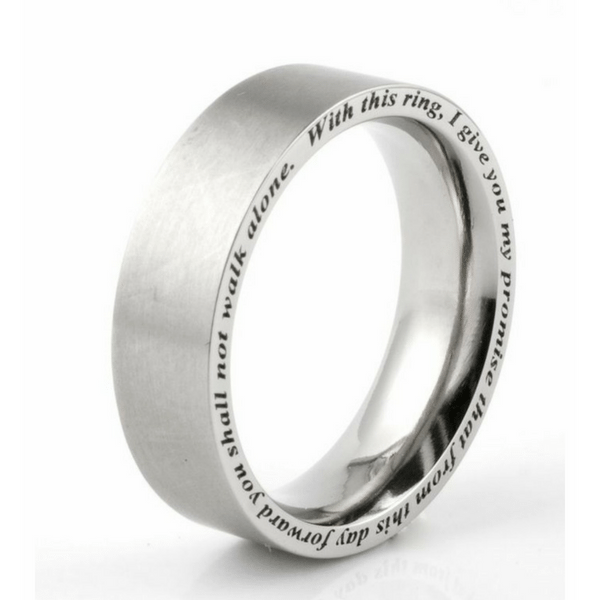 To read about some bespoke projects we have done that focussed on engraving, have a look at our Romance is not Dead, or A Very Special Bespoke Commission blog posts. For an overview of engraving options, have a look at our Engraving webpage. And of course, if you have any questions, don’t hesitate to get in touch by calling us on 01 6710103, emailing shop@stonechatjewellers.ie or visiting us in our Dublin 2 store in The Westbury Mall.